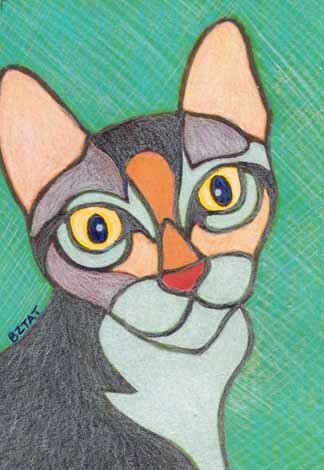 Today’s drawing is a tortoise shell tabby “torbie” cat with bright, imploring eyes. BUY NOW OPTION: You can buy this piece for $65 avoiding the auction provided that there are no bids made on the piece. Buy Now option is invalid once a bid has been made. Simply write BUY NOW in the comments below and send $60 + shipping to bztat at bztat.com. Highest bid at 10:00 pm EST on Wednesday 1/26/11 wins the piece. Today's Drawing a Day: Great Scott!